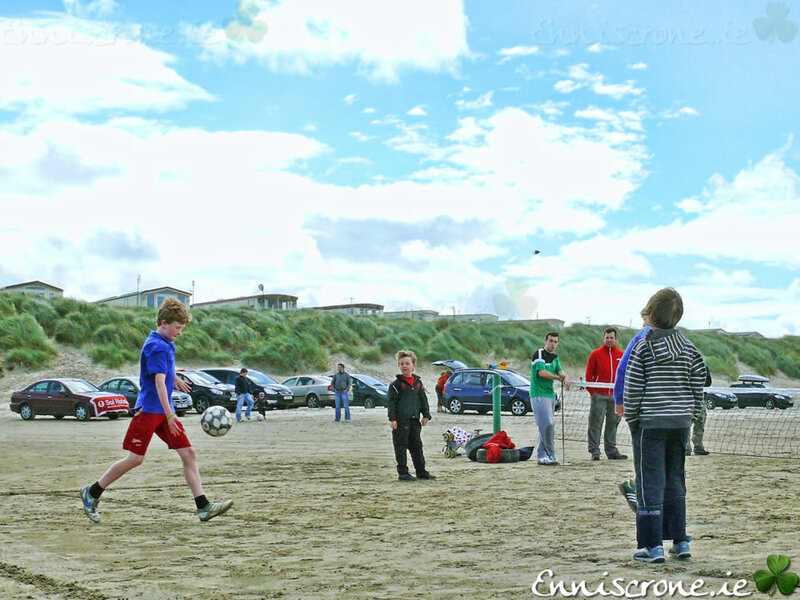 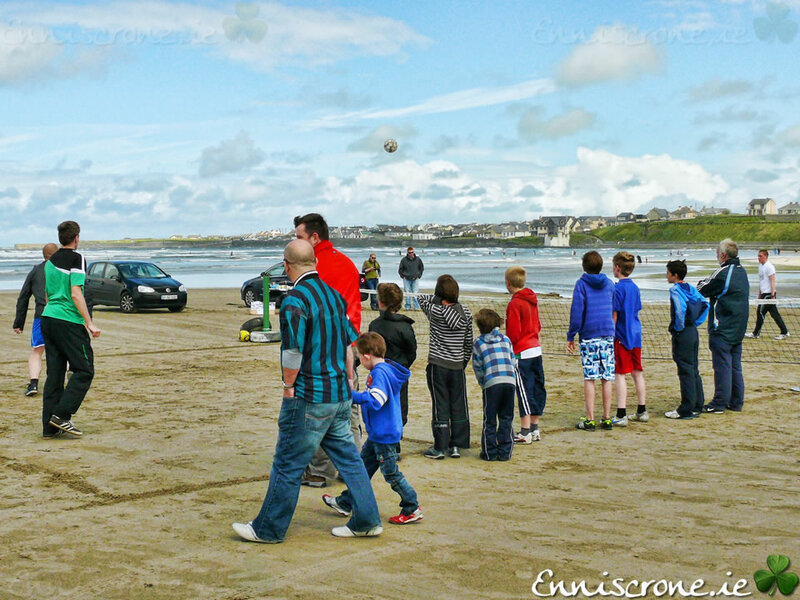 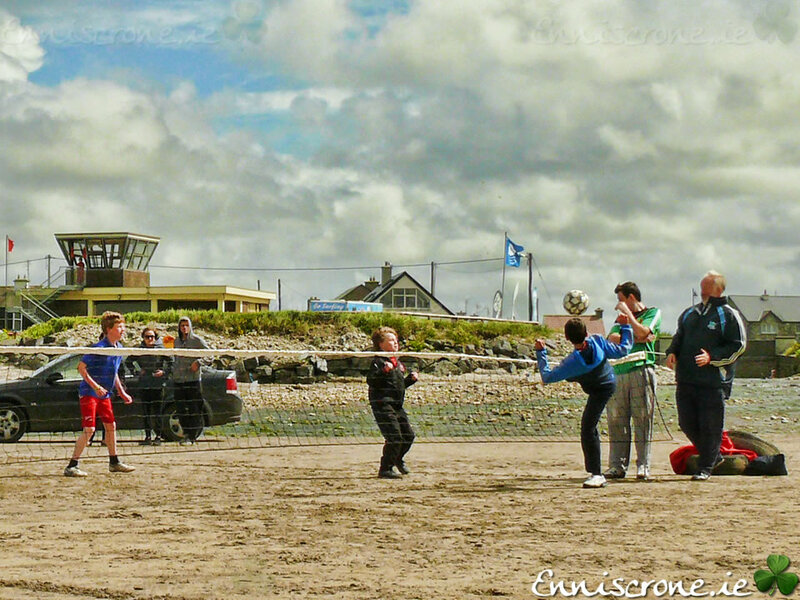 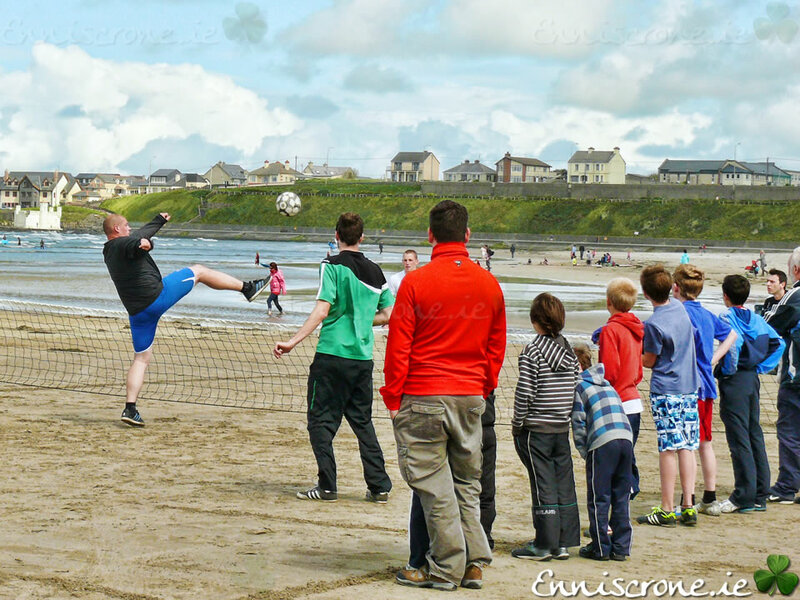 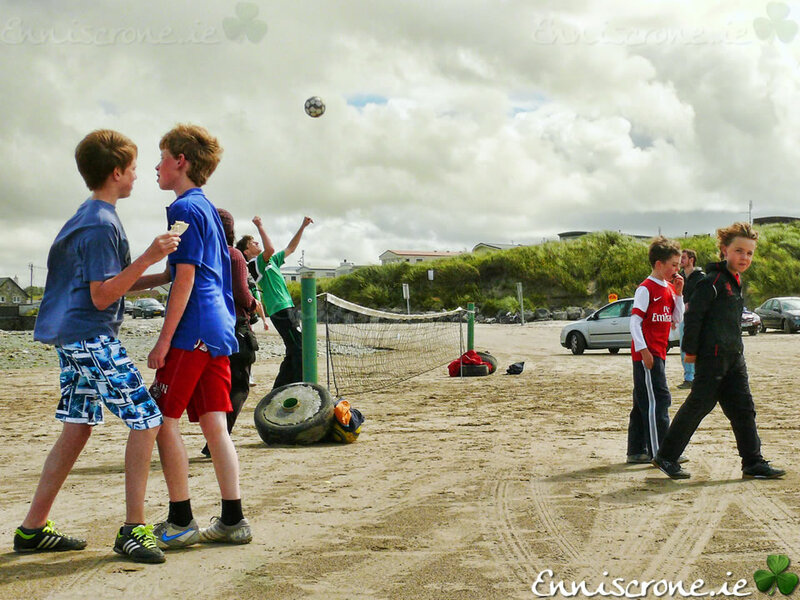 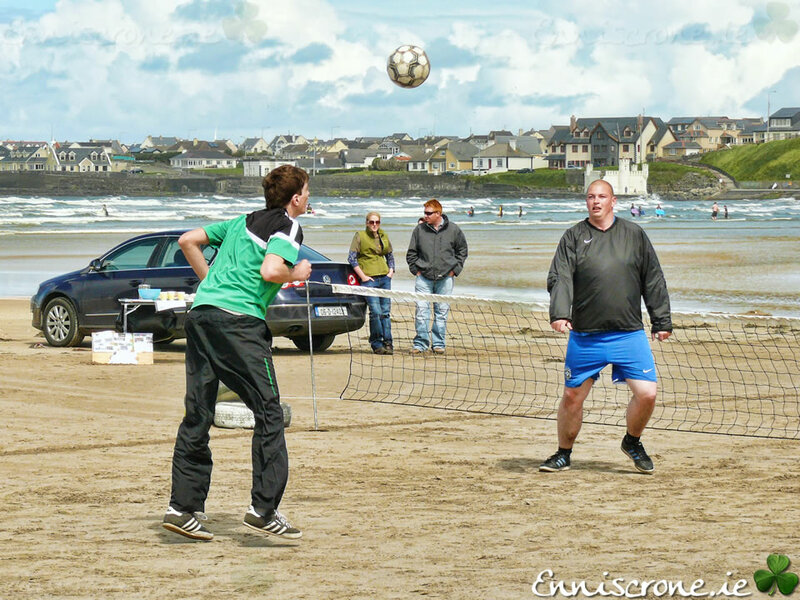 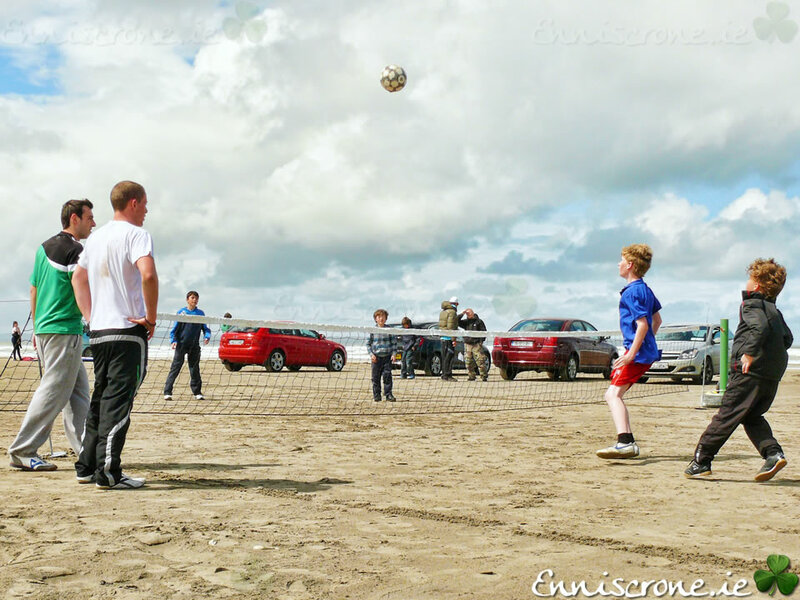 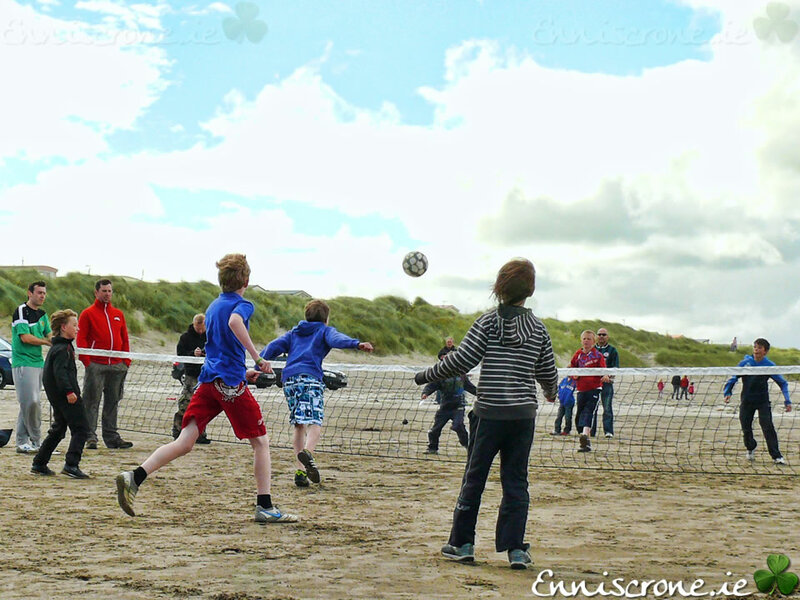 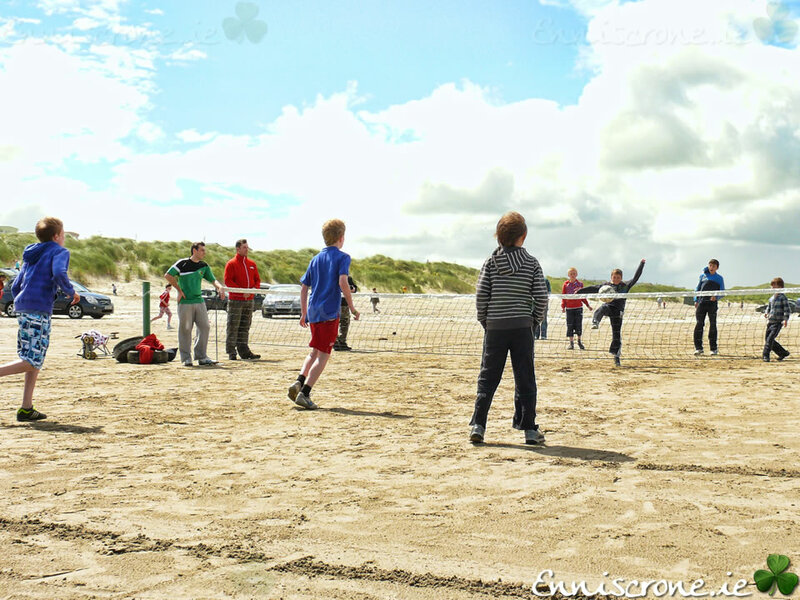 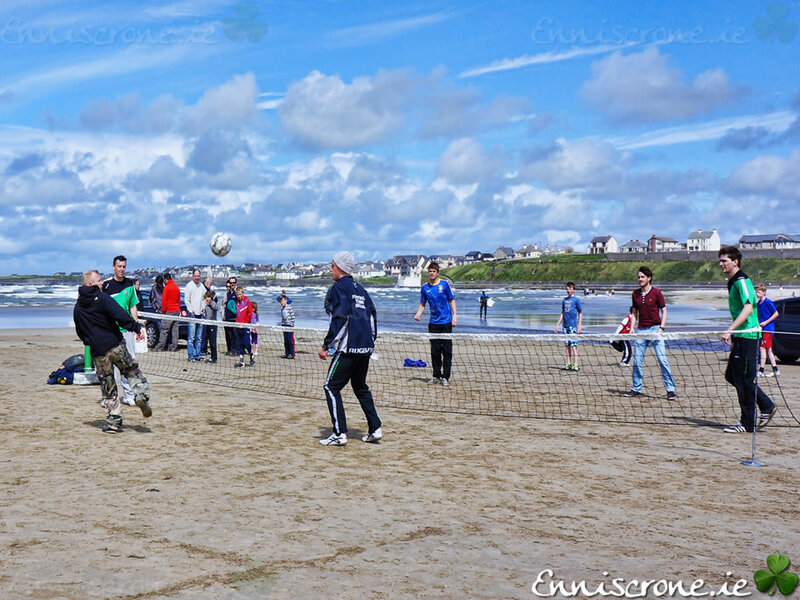 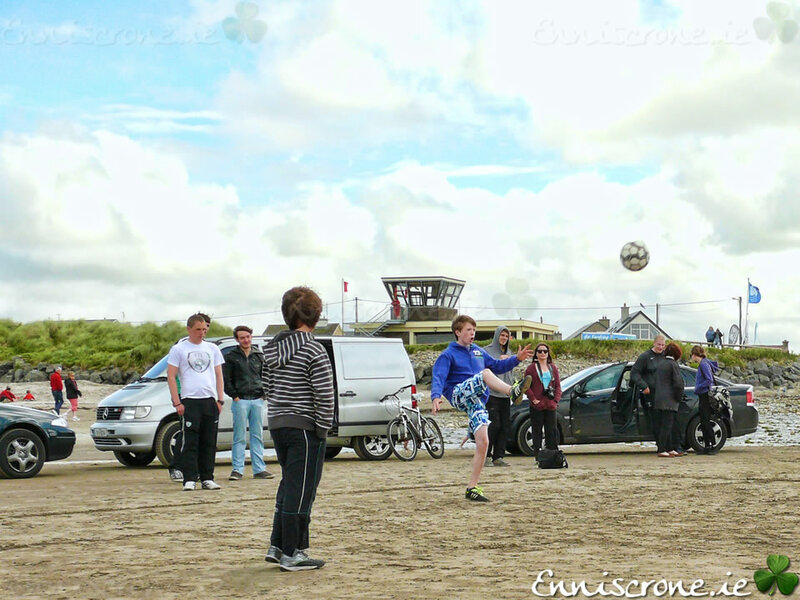 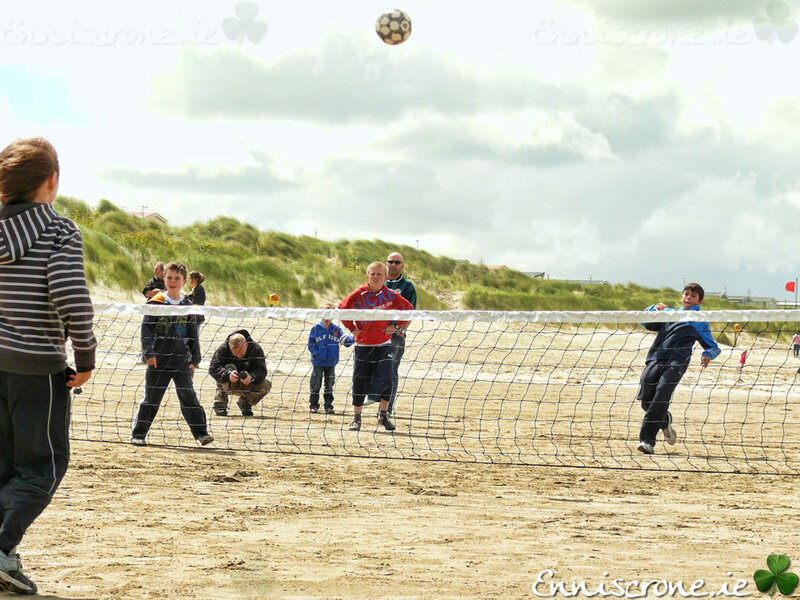 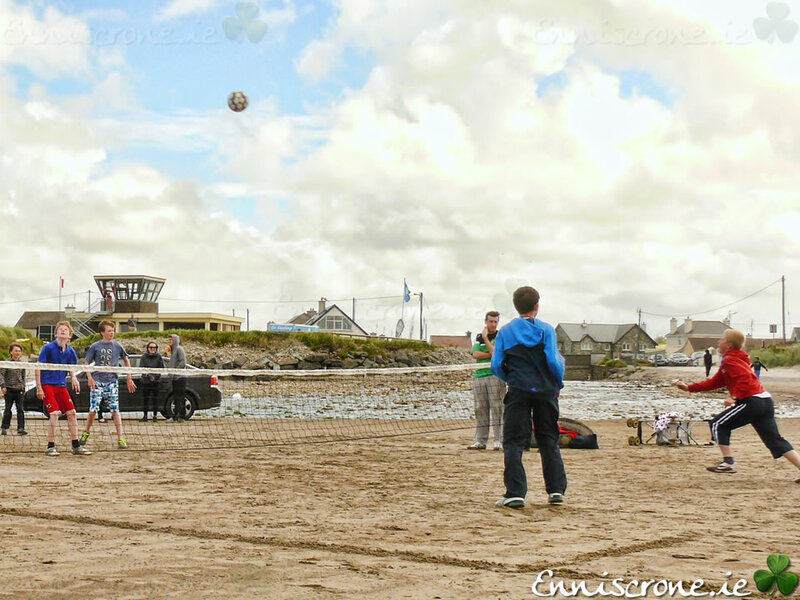 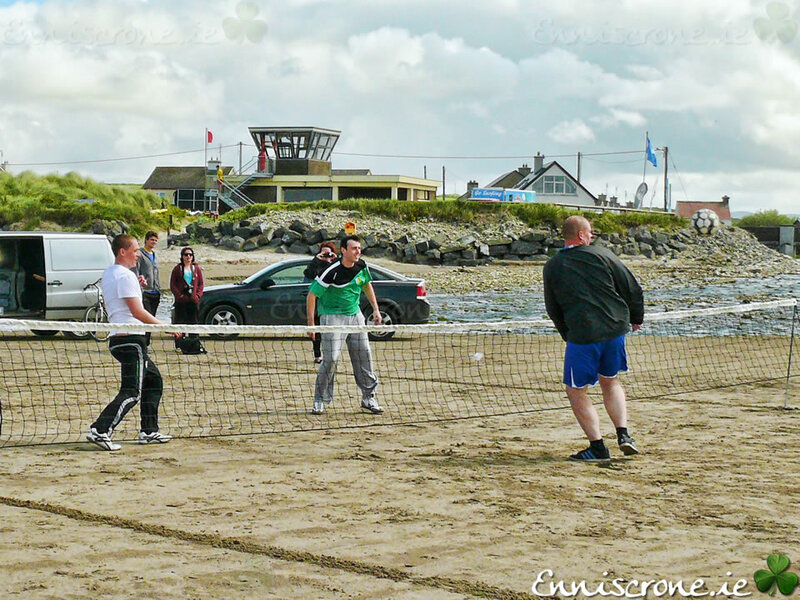 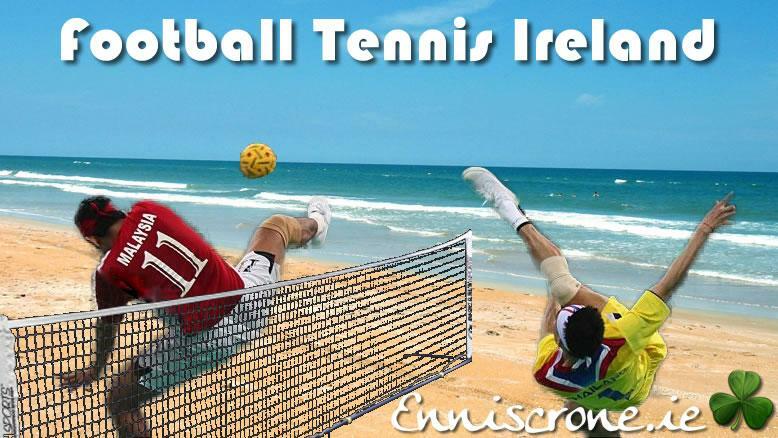 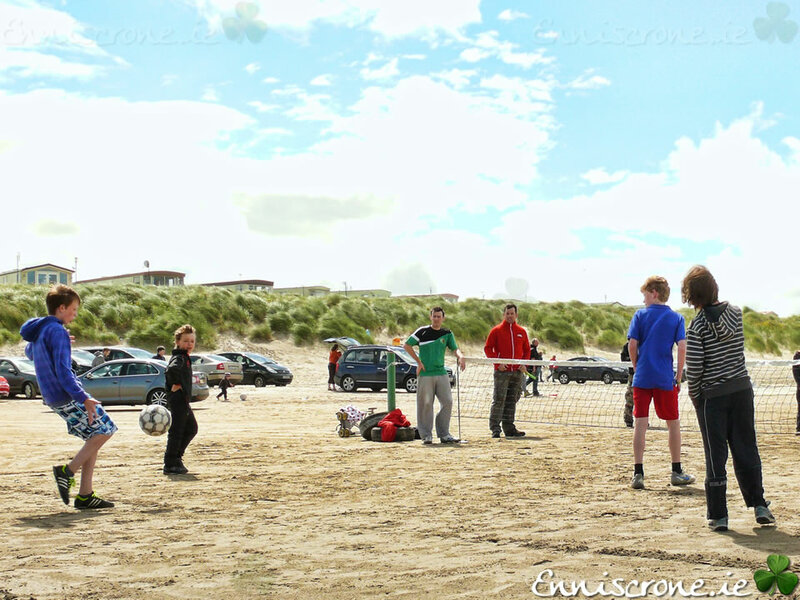 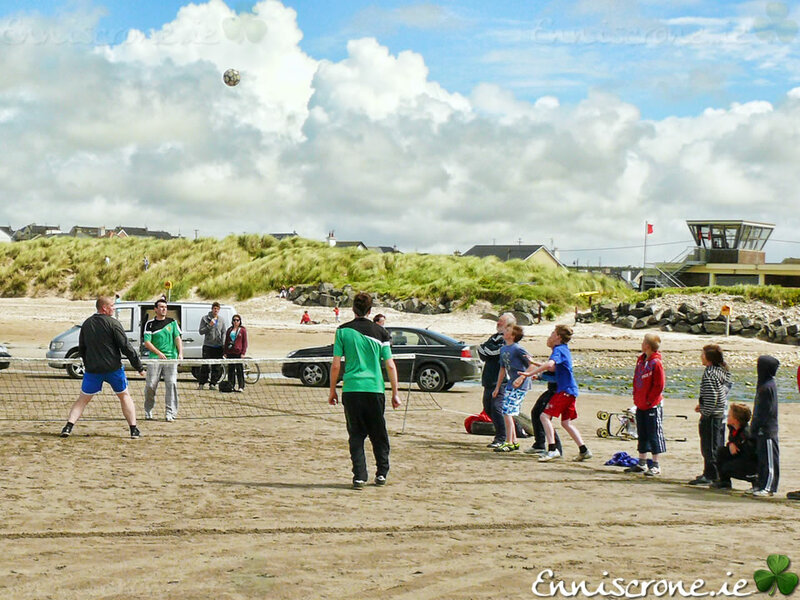 From the beaches of Brazil, training pitches of professional footballers and now to Enniscrone Beach, football tennis is a game played and loved by all. 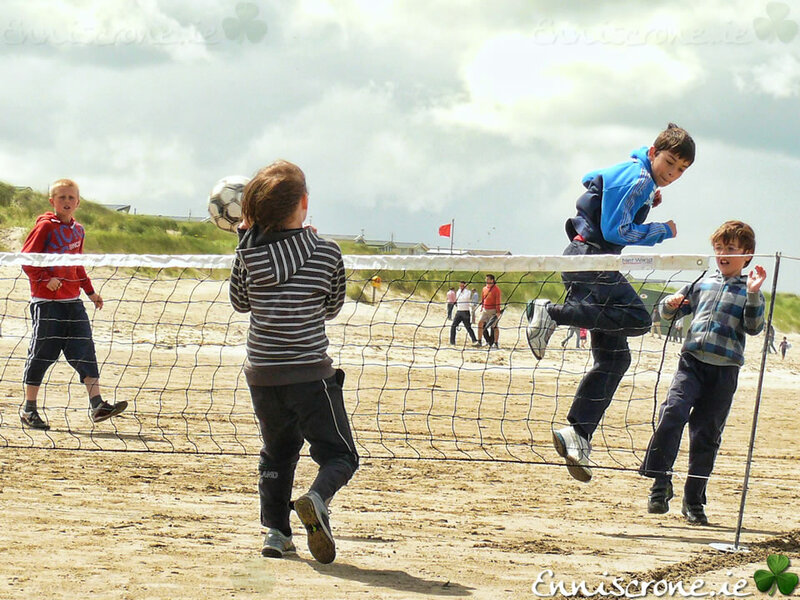 Football Tennis, also known as futnet, is the ideal game to perfect player’s technical ability as well as been fast, exciting and most important of all fun for all. 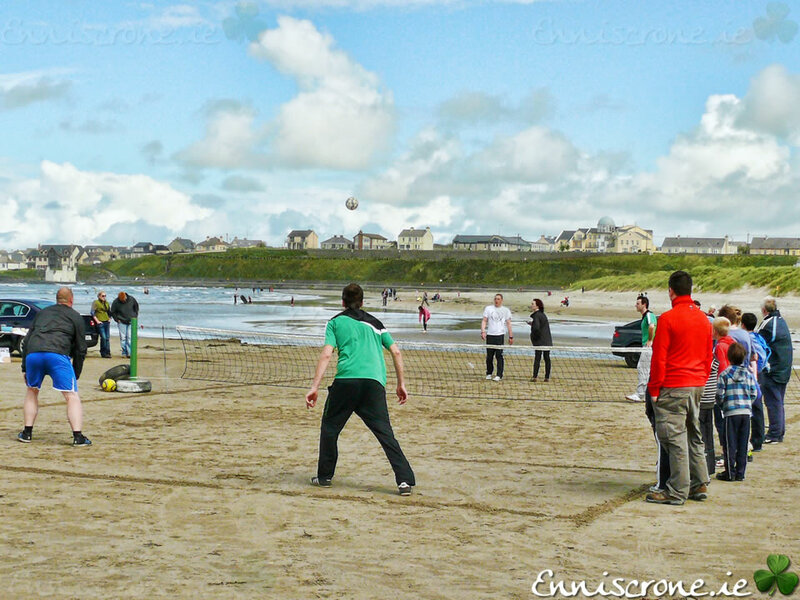 A set finishes with 11th point with a two-point difference, maximum score is 15:14. 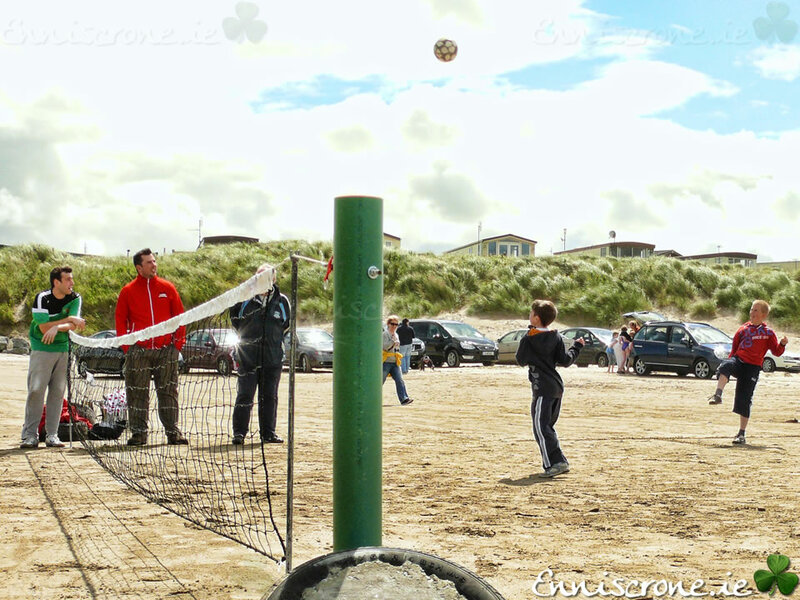 To win a match, the team has to win 2 sets. 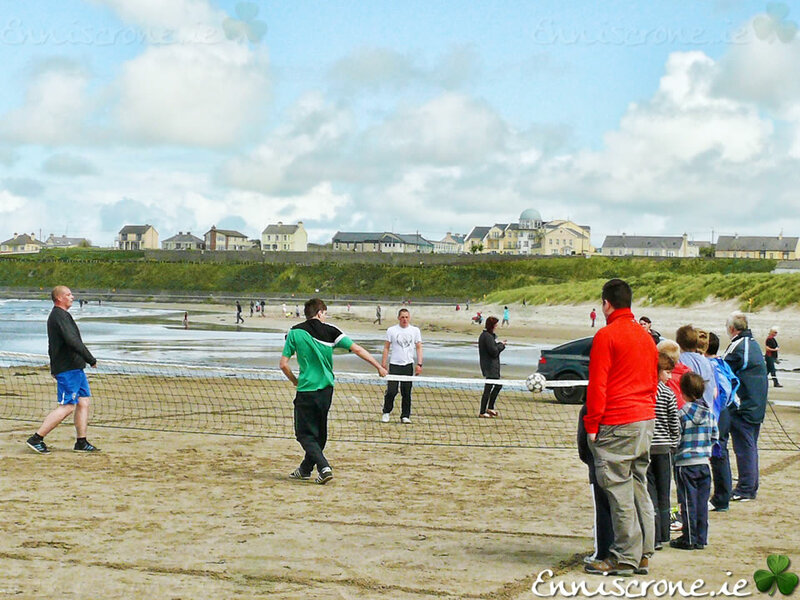 The height of the net is 1.10 m. The players may not touch the net during the game, otherwise it is a point for the opponent.